Lower Normandy, or Basse Normandie, covers almost 18,000 km² of land and has a population of around 1.5 million. It has three departments: Manche, Calvados and Orne, and in fact lies west of Upper Normandy, bordering Brittany to the south-west and the Loire to the south. Normandy’s economy is heavily based on agriculture, including livestock, dairy farming and apple orchards, and its cuisine, which includes seafood, dairy produce and apple-based dishes, is considered one of France’s greatest. Undoubtedly the most famous attraction in the region, if not France, is Le Mont Saint Michel – the legendary and breathtaking abbey built on its own island 600 metres off the coast, and formerly only accessible at low tide. Today, there is a bridge and shuttle buses to take the two million visitors a year to what is both a national monument and a UNESCO World Heritage site. The vast abbey, built between 11th and 16th centuries in Romanesque and Gothic architecture, is currently inhabited by the Monastic Brotherhood of Jerusalem. A few kilometres north lies Granville, which has a lovely beach, a pleasure port and a harbour surrounded by 19th century houses. It is the birthplace of fashion designer Christian Dior (1905-1957), and the 19th century Villa Des Rhumbs, where Dior’s family used to visit, is now a museum dedicated to his work. Granville also boasts an art deco casino, a modern art museum, several parks and gardens, and in the historical town centre, the 17th century church of Notre Dame, with its stunning contemporary stained glass windows. 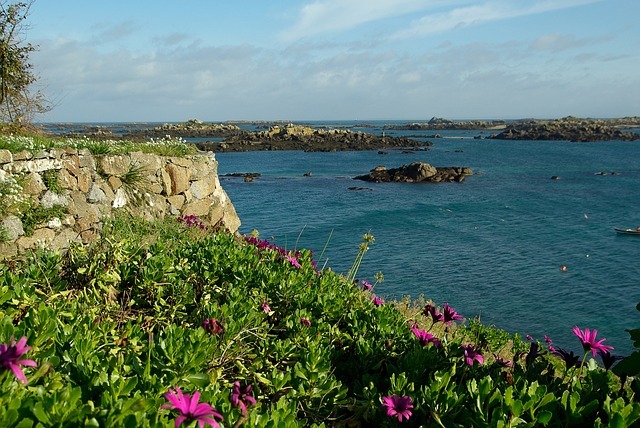 The Iles Chausey, a group of islands 15km offshore, have pretty beaches and natural harbours. Further north lies Coutances, whose Cathédrale Notre Dame dominates the town and surrounding countryside. Built and rebuilt in the 11th and 13th centuries, its highlights include a dome featuring 16 decorative stone arches, and a series of stained glass windows. To its east lies Saint-Lô, the department capital, which was almost totally destroyed during WW2 but still retains its ramparts and towers. It is also home to a fine art museum and France’s largest stud farm, which offers guided tours to visitors. At the northern tip of Manche is Cherbourg, the entry port for many visitors, which has a number of historical attractions, religious monuments and museums. These include imposing 18th century town-houses, the 14th and 15th century Basilique Sainte-Trinité, and a historic centre with market halls and imposing stone buildings. Barfleur, one of France’s Most Beautiful Villages, lies 25km east of Cherbourg. Once an important naval base and fishing port, its income is now derived from tourism and yachting, but it remains largely unspoiled. By the harbour is the huge 17th century church of St Nicholas, patron saint of mariners, and its surrounding houses are of grey granite built in 17th and 18th centuries. 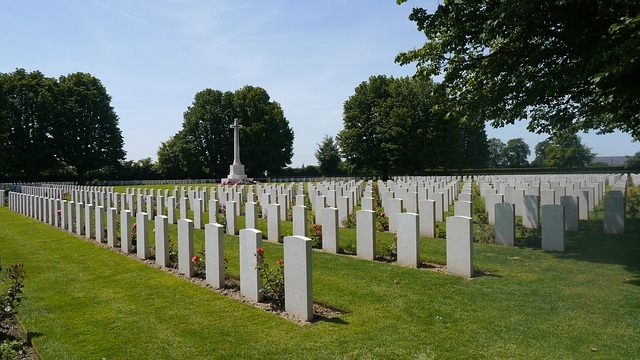 There is much to see in this department, from the glamorous seaside resorts of Deauville and Trouville, to the world-famous Bayeux tapestry, but for many, the main purpose of visiting will be to see the Normandy landing beaches and numerous war cemeteries. On 6th June 1944 130,000 British and American troops landed in occupied France at the Normandy beaches of – from west to east – Utah (actually located in Manche), Omaha, Gold, Juno and Sword in battles which represented a major turning point of the war. Today, the beaches have memorials, bunkers and craters, and the remains of the floating harbour used during the landings. At Utah and Omaha Beaches there are also museums. The Bayeux War Cemetery is the largest British war cemetery in Normandy, containing over 4,000 Commonwealth burials. The next two largest are Ranville and Banneville-la-Campagne, both located east of Caen. The town of Bayeux is of course famous for its medieval tapestry depicting how William the Conqueror defeated England in 1066. It is 80 metres long and 50 centimetres high, and is thought to have been commissioned by either William the Conqueror’s half-brother or his wife. It is kept in the 17th century Centre Guillaume le Conquerant. Otherwise, Bayeux is a protected Historic Town of France (secteur sauvegardé of which there are fewer than 100) thanks to its well-preserved medieval centre and its Gothic Cathédrale Notre Dame, whose stained glass windows also tell the story of William the Conqueror. There are numerous grand town houses and a medieval centre, and a Memorial Museum for the Battles of Normandy. Caen is the administrative capital of Calvados, and has many historical monuments and a well-restored historical centre, with half-timbered buildings typical of the area, parks and gardens, a lively port and bustling markets. A major landmark is the Chateau Ducal which was built by William the Conqueror – its ramparts and towers remain and provide great city views. Also worth visiting is the 14th century church of St Pierre, and the Musée des Beaux Arts, which houses Italian, French and Flemish paintings. North-east of Caen on the coast, Deauville is probably the region’s most glamorous destination, with its long, white sandy beach, grand hotels, casinos, famous race track and the annual international film festival held every September. It also boasts fine architecture, with over five hundred villas classified as historical monuments, representing Norman, Art Nouveau and Baroque architecture. Nearby Trouville is one of France’s earliest seaside resorts, known in the mid 19th century as the ‘Queen of the Beaches’, but the town also boasts grand houses, beach front villas and hotels, and a famous daily fish market. 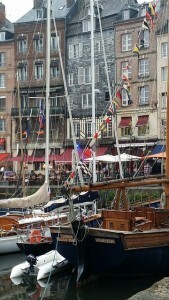 At the easternmost part of the Lower Normandy coast, Honfleur has a 17th century harbour surrounded by elegant tall houses, a fish market and the 15th century church of St Etienne, which now houses a maritime museum. The medieval old town is full of lively shops and cafés. Worth a visit is St Catherine’s church, France’s largest wooden church, built after the hundred years war during a shortage of stone. Inland from Honfleur, Lisieux is the second most important pilgrimage centre to Ste Therese after Lourdes. The Basilica Ste Therese was constructed in 1925 – one of the largest to be built in the last century – and is beautifully decorated. The city is also well-known for its 12th century Gothic-style Cathredrale St-Pierre, which was where Henry, future king of England, married Eleanor of Aquitaine in 1152. Further south lies Falaise, which is where William the Conqueror was born in 1027, in a castle set upon a rocky hill overlooking the city. The town also boasts several churches and two abbeys in the surrounding area, but for many the town will be known for the Falaise Pocket, and its battlefields where the allies fought the Germans in August 1944. For a fun driving tour, follow the Normandy Cider Route – a 40km long loop clearly marked ‘Route du Cidre‘ which visits the producers of AOC Paye d’Auge cider, starting and ending at Cambremer, between Caen and Lisieux, and taking in eleven cider-producing villages, one of which is Beuvron-en-Auge, one of France’s designated Most Beautiful Villages. Most of its houses were built in the 17th century in the half-timbered style, but there is also a 15th century manor house, a small flower-filled square, and plenty of antique and local produce shops. Popular times to visit are during the flower festival in May and the cider festival in October. If Orne has fewer architectural treasures and historical significance than its counterparts, it makes up for it in natural beauty, being home to large parts of two Natural Regional parks and a number of rural villages and market towns. In the south, the department capital of Alençan lies on the Sarthe river, and was formerly a centre for lace-making. Today, there is an attractive pedestrianised centre with interesting architectural features, such as the 19th century circular wheat hall, and the 16th century Basilique Notre Dame, with its ornately carved entrance, mosaics and stained glass windows. Also on the River Sarthe is St-Cenerie-le-Gerei – another of France’s Most Beautiful Villages, with a stone bridge, picturesque cottages, town square and 11th century church. It is popular with artists, with galleries and workshops. For garden lovers a visit to Les Jardins de la Mansonière is a must. It started life in 1986 as a private garden, and has since blossomed into a series of English-inspired garden ‘rooms’, including the rose garden, the moon garden and a Japanese-themed garden. East of Alençan is Bellême, a pretty town set in the Parc Naturel Régional du Perche, which boasts great diversity with fields, rivers, woods and marshlands, and is ideal for walking, cycling and horse-riding on a local ‘percheron’ horses. Also worth visiting is Argentan, set on the River Orne, which has many historical monuments including the Chateau des Ducs, now a court house, the 12th century Tour Marguerite and two important medieval churches, a chapel and an abbey. The Maison des Dentelles is dedicated to the town’s history of lace-making. With its glorious coast and lush agricultural interior, with dairy farms and apple orchards, the cuisine produced throughout Normandy is considered some of France’s best, represented by seafood and shellfish, cheese and butter, and cider and apple dishes. Normandy is France’s largest producer of oysters, and some of the finest come from around the Bay at Mont St Michel. Scallops are also a regional speciality, and Manche produces almost a third of France’s mussels. The little village of Camembert is located in Orne, and its world-famous cheese can be found throughout the region, as well as the lesser-known Livarot and Pont l’Eveque. Normandy butter, cream and fromage frais are also highly prized. There might not be any vineyards in Lower Normandy, but the apple orchards do their best to make up for that, producing a range of ciders, including the popular pear cider in Orne, and of course Calvados, the apple-based brandy. This is the place to be for a variety of tarte aux pommes, or apple tarts, as well, and apples find their way into a variety of other dishes, from mussels to chicken and pork. If you’re looking for a small country property to renovate, Lower Normandy might be the place for you, where in all three departments you can still find village barns and cottages to restore for less than €30,000. For an easier life there’s a large choice of village properties that might need less extensive modernising in the area of €70,000 – 100,000. On the coast, a small beach property could set you back €170,000, while a chic city apartment in Deauville could cost as much as €500,000. In the €500,000 – 600,000 price range you can find houses in Manche with gite businesses, and large manor houses in Orne. At the upper end of the scale a country chateau in Calvados might set you back between €1 and 2.5 million, while you won’t get much change for €3m for a cliff top villa with its own private beach in Deauville.